Heading into this week's game against the Philadelphia Eagles the Dallas Cowboys were down starting Left Guard Connor Williams as well as starting Center Travis Frederick. 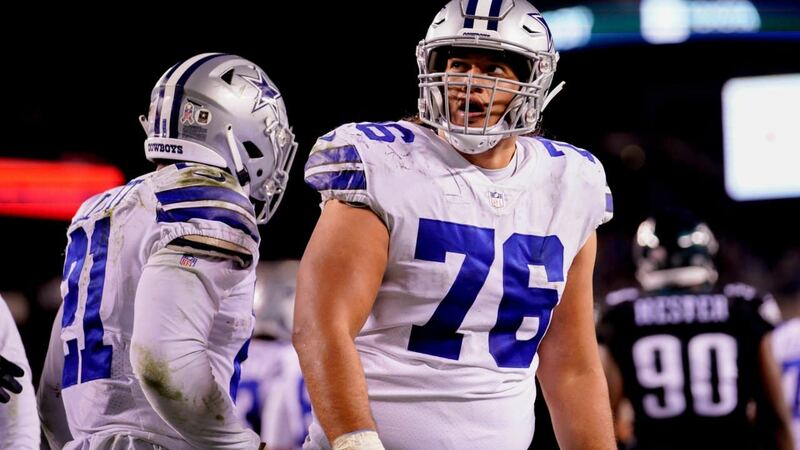 Getting his first start for the Dallas Cowboys since being signed off the street during the season as guard depth was Xavier Su'a Filo and he played excellent. Filling in against a front seven as good as the Eagles is a pretty difficult ask, but Su'a-Filo had 31 games in the previous two seasons with the Houston Texans, so he's not your typical interior backup. 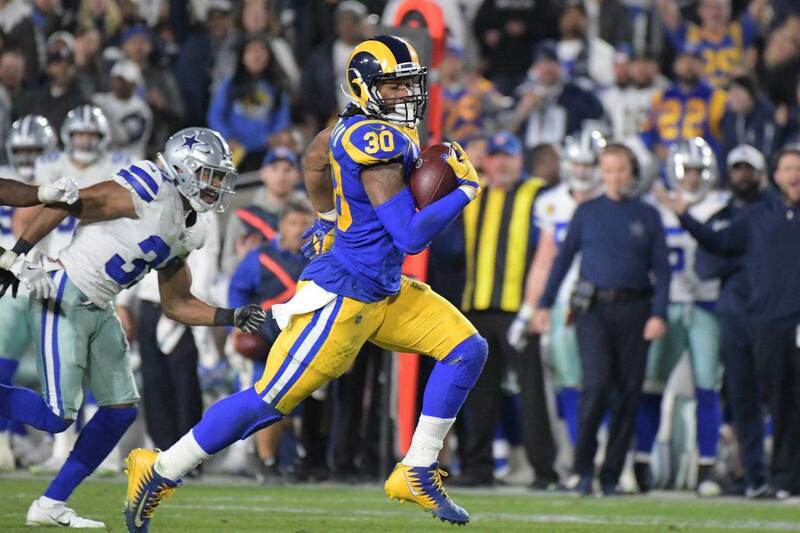 In particular, Xavier did a great job of getting to the second level quickly and sealing off the linebacker, which allowed Ezekiel Elliott to spring for several big gains on the day. Here on Ezekiel Elliott's big run, you can see Su'a-Filo and Left Tackle Tyron Smith start a combo block on the three-technique defensive tackle. After the initial engagement, Su'a-Filo comes off his block quickly and gets to the linebacker and prevents him from filling the hole and doubling back to cut Elliott off and Elliott runs for 32 yards down the middle of the field. Again, we see Tyron and Xavier work a combo block before Su'a-Filo comes off his block to engage the linebacker and prevent him from getting back to Elliott after hits the hole to the left side. This time Xavier Su'a-Filo works with Joe Looney to prevent the one-technique defensive tackle from slanting down the line and disrupting the point of attack. Su'a-Filo then quickly releases to linebacker and seals him to the outside and creates a big hole for Elliott to run through for yet another big gain. 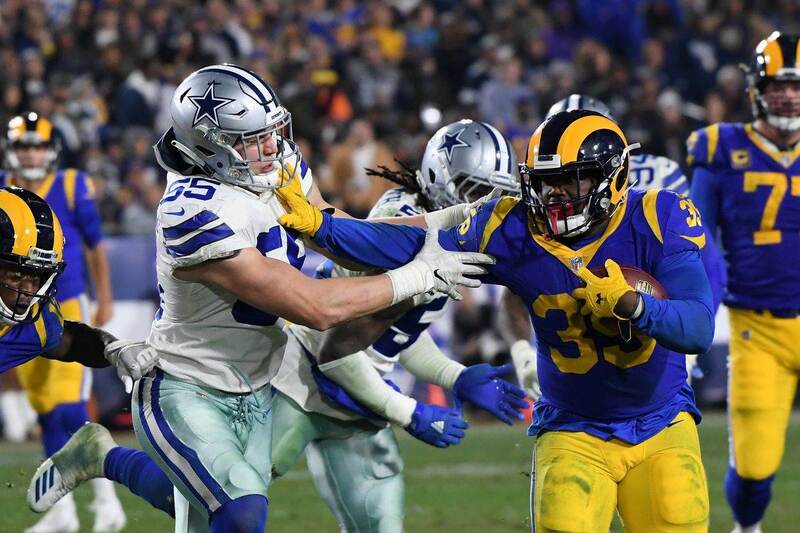 This is another big gain for Ezekiel Elliott and the Dallas Cowboys offense that seemed to be able to run right at the heart of the Philadelphia Eagles defense all night. This time Su'a-Filo stumbles off the snap but is able to regain his balance and neutralize the middle linebacker yet again allowing Elliott to get to the second level quickly and get the Dallas Cowboys into field goal range late in the game. Su'a-Filo is matched up against one of the première defensive tackles in Fletcher Cox. Cox looks to get leverage on Xavier but is unable to fully get to Dak Prescott as he steps up into the pocket. The offensive tackles didn't expect Dak to step up into the pocket and were unable to hold up the Philadelphia Eagles defensive ends and Prescott is sacked. Su'a-Filo, though isn't completely walked back and Dak has a lane to step into in the pocket. Obviously it's not a perfect play for the Cowboys, but Su'a-Filo eventually tosses Fletcher Cox to the ground. That kind of play strength has been missing from rookie Connor Williams. In pass protection, Xavier held up well. Cox attempts to use power to knock him off-balance, but Su'a-Filo holds up to the power and Dak Prescott finds Allen Hurns for a big gain down to the one yard line setting up Dak Prescott's rushing touchdown. 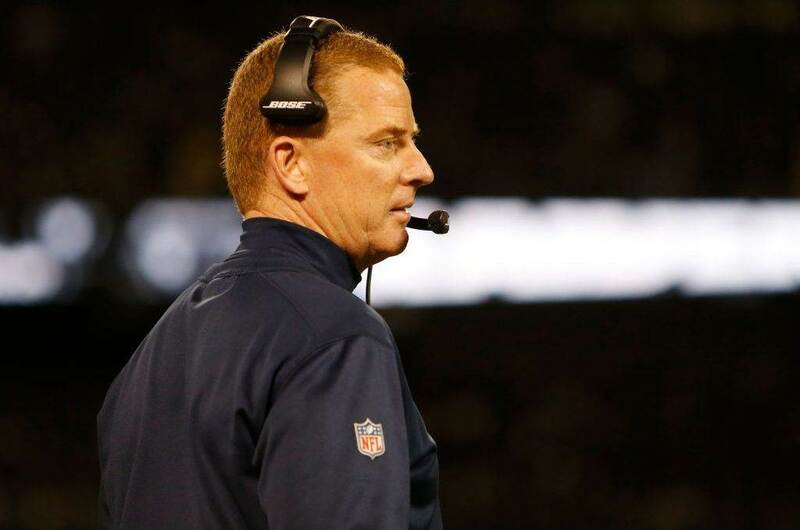 The Cowboys run game has had a difficult time getting going for much of the season. Ezekiel Elliott and the Cowboys offensive line played their best game of the season. It looked like the dominant run game we've grown accustomed to. Pro Football Focus attributed to hurries to Su'a-Filo on the night, but zero quarterback hits and zero sacks. Running to the left, Elliott ran for 113 yards at a clip of 8.61 yards per carry including three carries for more than 10 yards and Su'a-Filo was a big part of that. Xavier did a nice job stepping in for starter Connor Williams and had a nice day both in pass protection and in the run game helping to give strength and athleticism at the point of attack. His ability to get to the next level helped spring Elliott for several big runs on the night, which was a huge key to the football game. Coming into the week 10, the Philadelphia Eagles had allowed the second fewest rushing yards in the NFL.